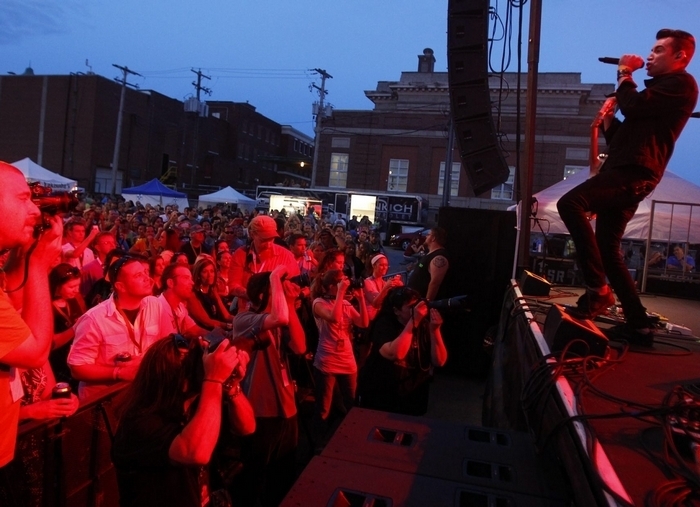 LOCKPORT – The promoter who was trying to keep the Friday night concert series alive in Lockport said Friday he’s giving up for this year and is pointing toward reviving the outdoor rock shows in 2015. “We have to get a level of corporate sponsorship equal to what the city was investing in the concerts,” said Thom Jennings of Albion, who had been working with the city to try to keep the series going. Last fall, the city parted ways with promoter Kathy Paradowski, who had been booking free concerts in downtown Lockport for six years. At the same time, the Common Council, faced with a financial crisis as the city was placed on the state’s list of fiscally stressed localities, cut all subsidies for the concerts out of the 2014 city budget. The city had been paying $8,800 to rent a stage from a Rochester company for each concert, and also was absorbing heavy police and fire overtime costs for security at the shows. For 50 concerts over six years, the cost to taxpayers was $684,414. “Our position hasn’t changed from the fall, when we did the budget,” McCaffrey said. Paradowski avoided charging admission by depending on beer sales to make ends meet. Molson was the title sponsor of the Canal Concert Series for the first four years, and Labatt took over for the last two years. “Nobody can ever obtain enough sponsor money to pay for the shows outright,” Paradowski told The Buffalo News in December. Jennings said the era of free-admission concerts in Niagara County may be ending. He noted that Artpark in Lewiston is charging $7 to $12 for its Tuesday concerts this summer. Artpark’s website indicates some shows will cost $12 to $17. Jennings said his goal now is to provide “seven or eight quality shows” for the summer of 2015.